Kabir Khan had a special interaction with the crowd at the Jio MAMI 17th Mumbai Film Festival movie mela on Saturday. The man behind films like Kabul Express, New York, Ek Tha Tiger and this year's blockbuster hit Bajrangi Bhaijaan shared his Bollywood journey with the audience. Also Read: Has YRF approached Salman Khan for Dhoom 4? 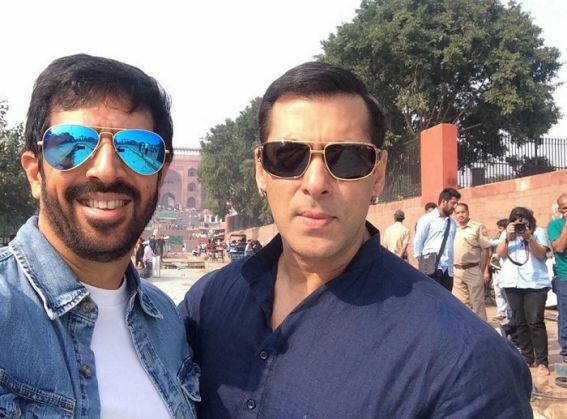 After directing Salman Khan in two very successful films, Ek Tha Tiger and Bajrangi Bhaijaan, Kabir Khan's next collaboration with Salman Khan has high expectations to meet. "A pressure always builds up when a director and actor team up for a film after the success of the first film, but I never take that pressure. If either Salman or I would have taken this pressure, Bajrangi Bhaijaan would never be made. After Ek Tha Tiger, the safest thing for Salman and I to do was to join hands for another action thriller. But we didn't make an action film rather decided to team up for a film which is completely against Salman Khan's onscreen image," Khan said. "When my next film with Salman happens, it will be very different from what we did in Ek Tha Tiger or Bajrangi Bhaijaan," the director promised. Khan was asked about how he directed Salman in Bajrangi Bhaijaan. The director said that the superstar is a great actor and that the script got the best out of Salman Khan. "A lot of people ask me this question. I don't think I made Salman Khan act. I don't think anyone can make any person act. It all comes within and Salman Khan believed in the script of Bajrangi Bhaijaan. When I was writing the character of Pawan, the only name which came to my mind was Salman Khan as I know how well he bonds with kids in real life. Bajrangi Bhaijaan is a kind of film which would not have been possible without Salman Khan because he made the character of Pawan his own." Also Read: Can Salman Khan overshadow James Bond this November? "The climax of Bajrangi Bhaijaan is unlike any other Salman Khan film and that was the biggest risk for us, because we are showing Salman Khan getting beaten up in Pakistan towards the climax. It takes guts for a superstar like Salman Khan to limp in the climax of a film and he did that without any hesitation as the script demanded the same."